Labelexpo Europe 2017 takes place at the Brussels Expo in Brussels, Belgium, September 25-28. On exhibit will be the newest and best products from hundreds of industry suppliers. Over the next several pages, we present a selection of equipment and consumables that will be on display at the show. A full complement of ABG’s total finishing solutions will be at the company’s booth, as well as HP’s. With flat screen printing traditionally the slowest module on a finishing machine, visitors to Labelexpo will be able to view AB Graphic’s new flat screen printing unit, with a significantly increased running speed. This will be shown on a high spec Digicon Series 3. Also on show will be a Digicon inline with a nonstop turret rewinder with 100% camera inspection and workflow link. This shows operators exactly where and how many errors there are on a roll, achieving 100% inspected and finished products as quickly as possible. According to acpo, it is the only US manufacturer dedicated to supplying pressure sensitive adhesive coated films to the narrow web printing and converting market. These films can be found on labels and flexible packaging products from the health and beauty industry to pharmaceuticals and pet foods, and they will be on display at Labelexpo Europe. acpo has developed several new products, including high oxygen barrier print webs, moisture barrier sealant webs and brand protection films with multiple levels of anti-counterfeit technologies. Apex International will launch an anilox solution to resolve UV ink spitting. Apex uses a constant beam laser to create its patented GTT Open Slalom Ink Channel anilox geometry that lets the ink flow uniformly and calmly onto the plate. This not only prevents pin-holing, mottling, haloing or dot gain to occur in print, but also makes GTT a guaranteed anilox solution against ink spitting. In addition, Apex will showcase “Smart Aniloxes,” where its rolls will be able to automatically share status information with intelligent systems. That will allow operators to have better control over cleaning cycles and more control over when to perform maintenance. Smart Aniloxes will thus enable further improvement of process control, up time and productivity. At Labelexpo Europe, Armor will be introducing a brand-new ribbon. The company wants to put a new dynamism in the labeling market, and visitors can explore the benefits and market changes at the Armor booth. Armor is also showcasing its newly launched specialty resin ribbons dedicated to printing electronic labels (AXR EL) and textile care labels (AXR TX). Ashe will be operating and giving live demonstrations of 3x finishing lines from its narrow web range of standard equipment. A 32” (800mm) wide Solitaire Duplex Slitter Rewinder will be running thin films, while a 17" (430mm) wide Opal Converter with 2x horizontal design die stations will produce blank labels at high speeds. A 20” (520mm) wide Opal fully automated glueless turret rewind with automatic core loading will be at the show, as well. At Labelexpo Europe, Avery Dennison will show its latest solutions. Its MC FSC recycled facestock enables label converters to help customers meet sustainability targets while delivering exceptional results. Offering similar whiteness, brightness and opacity to conventional facestock, it is manufactured without chlorine bleaching. For premium products, the Avery Dennison Sensorial Collection gives designers a broad toolset to create soft, textured or patterned labels that give a vintage or artisanal feel. For chilled foods, the clear S2405C hot-melt adhesive offers the tack and application temperature of a conventional hot-melt adhesive without yellowing. B Bunch Co., Inc manufactures a wide range of fanfolding and sheeting equipment for inline use with presses or printers, or offline with optional unwind stands. The company’s product line will be on display at Labelexpo Europe. 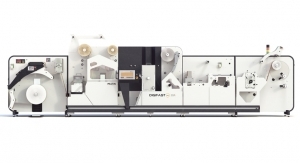 Bar Graphic Machinery will launch five systems at Labelexpo Europe. The 450mm-wide BGM Elite 450 Ecoflex is a full servo, multiple substrate inspection slitter rewinder for unsupported and supported materials from 11 microns upwards. Fitted with BGM intelligent tension control system, the machine will be demonstrated fitted with a 1-meter capacity unwind system with BGM’s latest mandrel inflation system. BGM will also launch the latest A4 laser label sheeting machine, the Sheetflex, exhibited for the very first time. The machine will be demonstrating diecutting and sheeting onto a sheeter delivery table with batch step and count facilities. BGM’s latest eDSR easy load diecutting slitter/rewinder will be showcasing the very latest fully integrated rewind support attachment. By keying in the rewind size, the machine will automatically adjust the acceleration times optimizing efficiency. Also being launched is a new entry-level inspection slitter/rewinder featuring standard high specification features, including an HMI operator touch screen interface. The name Berhalter is synonymous with the production of innovative and customized flat-bed diecutting systems. At Labelexpo Europe, Berhalter will present the new diecutting tool concept for in-mold labels (IML) and polyester lids. The Berhalter LABEL-light punching tool is a patented tool concept combining the advantages of flat-bed diecutting, such as print-to-die registration, and perfect handling properties with the advantages of affordable tooling. Bitek will introduce its latest label finishing solutions, which include the any-CUT/III digital laser diecutter and the any-BLADE digital blade diecutter. The any-CUTIII has a design that enables fast, user-friendly, affordable short runs with precision. The any-BLADE is the A3 size of blade diecutter with a multi-gantry flatbed system, and it is 24x7 hours unmanned smart machine, thanks to an auto job change function. In addition, the anytron is Bitek’s brand of digital label system. Cartes will be showing high performance converting solutions, all focused to enhance customer capabilities for the new goals imposed by market trends. The company’s booth will be a showcase for the last frontier of laser converting technology with improved new features like the Cartes exclusive I.L.C. – Invisible Laser Cutting. This product makes it possible to process dark printed labels without the unsightly “white edge,” as well as to run impossible shapes, plus many other advantages. All are processed by the well-known Cartes CO2 Semi-Sealed Laser Source with no factory refilling needed. Calor|RTT will introduce very durable thermal transfer ribbons for security labeling applications and brand protection in which the authenticity of a product must be verified. The use of security ribbons can significantly increase the protection against counterfeiting. Calor|RTT offers three different qualities that print black or transparent and flare with bright colorful fluorescence under ultraviolet illumination. The black one flares with neon bright fluorescent green/yellow and the transparent qualities glare yellow or cyan. 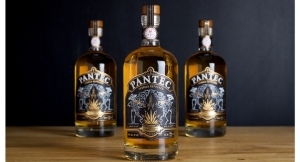 Cheshire Anilox Technology will introduce TactiLoX, a new anilox for producing visually striking, tactile, bi-dimensional flexo printed textured labels. The new engraving is specially designed to reproduce the tactile effect of rotary screen. Now users can achieve a two-dimensional feel to the package without the use of embossing or expensive tooling. 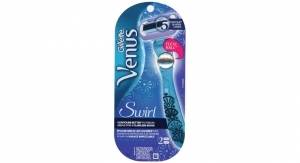 This engraving technology offers a high release of lacquers and varnishes. Cheshire will also demonstrate its full range of engraving technology, including MaxFlo+, which is specially developed for UV inks. This solves UV spitting and easy FLO HD for high opacity whites in one pass. Codimag will demonstrate its enhanced Viva 340 presses based on Aniflo printing technology. Featuring an offset unit and plates, plus simple anilox delivery system, Aniflo delivers high definition, uniform web coverage, expanded gamut printing and fast imaging/setup times. The dedicated Viva 340 Evolution press features HMI advances that minimize manual input, automatic register synchronization and enhanced connectivity with elements in the IT environment. For high sophistication, Viva 340 combination presses allow integration of rotary screen, flatbed foil embossing and flexo varnishing with LED UV curing. Private trials are available, as well. Manufactured under an ISO 9001:2008 certified quality system, SurePrint doctor blades are exported to many countries and are available in several varieties and edge configurations. On display will be a range of doctor blades for standard flexo and gravure printing applications, as well as for coating applications. The company will also be displaying premium blades, where it is possible to achieve low friction doctoring with longer running life. Of particular note here are Convertech’s HST, Series 1000, Excel and Excel pro blades. 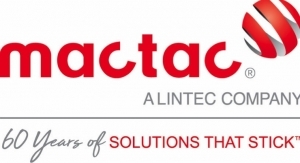 Daco Solutions provides a wide range of machinery for the label and narrow web converting industry. The equipment is British-designed and manufactured with a range that includes inspection/slitter rewinders, turret rewinders, digital finishing equipment and rotary diecutters for plain label production. 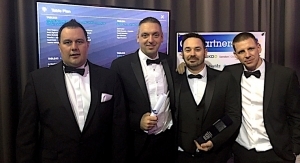 The company will exhibit the DTD250 table top diecutter, a PLD350 semi-automatic turret rewinder with rotary diecutting and the Daco DP350 UV inkjet system in partnership with Inkjet Solutions. Delta ModTech will feature a complex converting/digital print finishing system at Labelexpo Europe. The Delta ModTech Crusader converter will be demonstrating precise placement on a label product. The system will feature a variety of processes, including tight tolerance rotary diecutting, multi-layer lamination, precise part placement and the INTELLI-MOD control system. The INTELLI-MOD control system gives users complete control of each module. The precision of registration on each diecut is based on Delta’s control system. Engineers will be on site to confidentially discuss specific application requirements and help visitors develop a total solution. 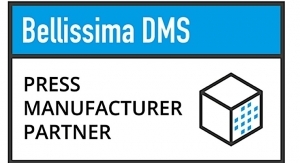 Domino Digital Printing Solutions will display its latest DFE (Digital Front End) workflow solution designed for the N-Series range of digital color presses. With improved operating speeds and streamlined automation, DFEv2.0 maintains compatibility with the latest Esko code base and can work with a number of VDP (variable data printing) formats. 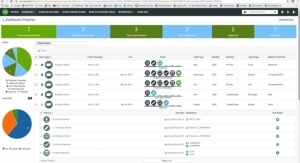 The new screener, Domino ScreenPro, streamlines the workflow by combining several processes into a single JDF workflow, which enhances speed and efficiency, as well as enabling full offline VDP operation and additional capabilities within DFEv2.0. 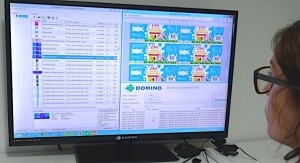 With this new workflow, Domino is providing label converters with a comprehensive platform for managing integrated production. A global manufacturer and leader for both thermal transfer ribbons and care label materials, Dynic UK will be displaying its latest products at this year’s show. Dynic’s extensive range of TTR products provides solutions for the retail, logistics, food, medical, chemical, automotive, textile and flexible packaging industries. Its established Care Label range includes the very latest development for the care label industry. Dynic’s newly launched IJC range of products is suitable for full color inkjet printing. 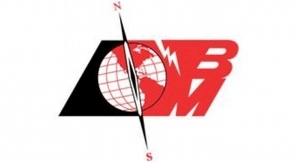 ebeam Technologies and its partners, Uteco Converting and INX Digital International, will unveil an industrial end-to-end digital narrow web solution for the safe mass-personalization of indirect food contact flexible packaging and labels. 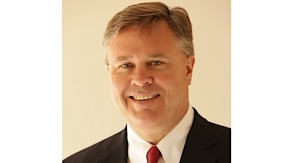 The new solution will enable print and converting professionals, and brand owners in the flexible packaging sector, to take advantage of the proven market opportunities around variable printing such as product personalization, short run market testing, print-on-demand or print-per-event and local area snap promotions. Because the INX Digital ebeam curable inks are photoinitiator-free, package converters will now be able to target consumers with indirect personalized food packaging. For the first time, Esko will publicly unveil two new turnkey workflow solutions to help label converters improve productivity and profitability. WebCenter Essentials and Automation Engine Essentials are pre-configured, easy to use workflow solutions addressing the many challenges that constrict throughput and cause inefficiencies in the label manufacturing process. 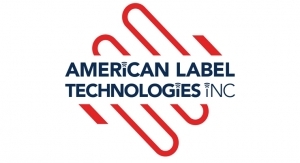 Label converters are increasingly challenged with shorter runs, faster cycle times, more SKUs, and stricter regulatory compliance requirements. 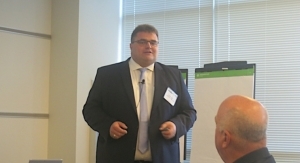 “We are committed to Simplify Packaging,” states Udo Panenka, Esko’s president. ETI will present an ultra-compact 330mm wide Mini-Cohesio. This technology combines silicone, adhesive, lamination and diecutting processes to produce self-adhesive labelstock, all inline. This year, live at Labelexpo Europe, Mini-Cohesio will produce clear-on-clear PS labels supported by very thin 18-micron release liner at speeds of 150 m/m in one manufacturing process. The equipment at the show will integrate printing, coating, diecutting and converting capabilities. EyeC will present its fastest print inspection systems for labels and flexible packaging. EyeC’s newest inspection systems support the most modern processes and ensure the print quality throughout the entire production process. The experts in print inspection will demonstrate the EyeC ProofRunner Label in action. The EyeC Proofrunner Label delivers 100% print inspection, even on the fastest presses or rewinders on the market, running at speeds more than 600 m/m (2,000 fpm) without sacrificing resolution. The EyeC Quality Link enables the inspection results from the press to be evaluated at a separate station and used later on the rewinder to remove all defective labels. The new EyeC Workflow Integration automates PDF proofing during prepress. FFEI Ltd will be unveiling Printbar Uncovered at Labelexpo Europe 2017. Printbar Uncovered will enable OEMs to deliver their own customized digital hybrid print solution to the labels and packaging market. Printbar Uncovered brings together proven, market-ready printbar technology, powered by Xaar, and FFEI’s inkjet integration expertise. OEM clients are therefore able to customize and bring to market an inkjet printbar solution that meets the requirements of customers, under their own brand. Ultimately Printbar Uncovered enables OEMs to deliver high profit margins on short-run jobs through the range of value-added embellishments supported – spot varnish, cold foiling, rotary white screen replacement, variable data labels and haptic (high-build and texture) effects. FLEXcon is a pressure sensitive film and adhesive solutions supplier, and its latest products will be on display at Labelexpo Europe. The new products include a UV inkjet PET for narrow web presses and a medical guide for pharmaceutical products for low migration inks. dermaFLEX is a skin contact adhesives and security solution for the pharmaceutical legislation EU 2016/161. Stabrite is a durable 5-year outdoor fluorescent vinyl, handling labels for outgassing prone surfaces. FLEXcon will also display label and tag solutions that withstand above 600°C. Double-sided, self-wound, foams and transfer tapes, plus acrylic and silicone adhesives, will be displayed too. Flint Group will be exhibiting a wide range of solutions for labels and packaging at Labelexpo Europe. 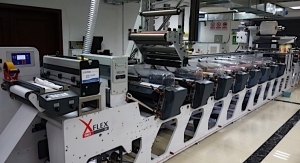 Flint Group Flexographic Products will showcase the nyloflex Xpress Thermal Processing System, with a smarter design that is easier to use. It delivers thermal platemaking with no compromise in quality. The nyloflex Xpress Thermal Processor will be on the show floor to demonstrate the excellent control and more consistent and stable plate production provided by the new equipment. Flint Group Narrow Web will demonstrate its range of food packaging compliant printing inks for all major printing technologies: UV mercury flexo, UV LED flexo, water-based flexo and UV and EB offset. There will be a special focus on the award-winning UV LED low migration technology, EkoCure Ancora. In addition, Xeikon will be displaying its newly launched Panther technology, a UV inkjet platform that complements Xeikon’s dry toner technology, and the first UV inkjet press based on this technology, the Xeikon PX3000. GIC will exhibit the new version of the Taginnov 350 finishing line, allowing RFID integration. It is suitable for a large range of products such as RFID encapsulated inside self-adhesive labels, textile labels, packaging and baggage labels. In addition to this innovation, the company will also exhibit the Dyxee Cut 350 finishing solution for adhesive labels. Equipped with a semi-rotary diecut, this finishing machine is fitted with an embellishment system to perform swollen varnish and stamping. Gietz AG will show its successfully launched, high performance, hot foil stamping and embossing machine Gietz ROFO 450. The system can be integrated in all current narrow web machines or ordered as an offline standalone version with an unwinding and rewinding unit. At Gietz’s booth, a high-end job with registered hologram application jobs will be shown. A second job can be seen at Prati’s booth 5C41, as well. GlobalVision, will present its latest Quality Control Platform technology and new scanner developments. Showcasing QCP deployed on the Cloud and available in HTML 5, as well as the latest version of QCP - V4.1 for the desktop, the company will demonstrate double speed times for loading files and inspection. The high level of proofreading accuracy and inspection efficiency in the packaging workflow offers a game changer for labeling and packaging brand owners. GlobalVision helps businesses eliminate errors on packaging by adding accuracy and speed to the quality control process with the ability to detect errors consistently and earlier. Eliminate errors before going to print in documents, artwork, labels, cartons, inserts, and more. GlobalVision is also integrated into Esko’s Automation Engine. For over 75 years, Graymills Corp. has manufactured rugged, long-lasting products for maximizing efficiencies in the pressroom. Graymills offers a range of products that include pumps (peristaltic, centrifugal and diaphragm), parts washers and complex automated systems. In addition, the company works with customers to find solutions that are application-specific and labor-saving. These solutions will be on display at Brussels Expo during Labelexpo Europe. GSB Wahl GmbH will show its whole range of printing inks, varnishes and adhesives for all label printing applications. 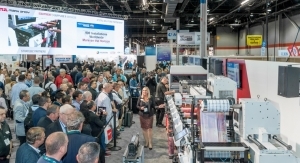 The wide scale of UV systems for offset, letterpress, flexo and screen printing machines will be displayed, as well as its newest cleaning systems and cleaners. The focus will be on the company’s latest formulations of low migration inks/varnishes. The newest varnishes in the LMS series will be introduced too. They are available for nearly all applications of packaging. GSE Ink manager is a comprehensive ink management solution for eliminating waste and implementing Lean processes. Benefits include optimized ink yields through recycling press returns; improved connectivity via mobile apps that allow remote data-entry and real-time information; smooth integration with ink formulation, management information and cloud software functions; access to recipe data and ink costings per job; ingredient tracking through the supply chain. An intuitive user interface offers extensive searching and separate job lists for work preparation and ink production. Hamamatsu Photonics is a leading manufacturer of optoelectronic components and systems. Hamamatsu detectors, sources and imaging products are designed to cover the entire optical spectrum and provide solutions for a wide variety of applications, including analytical, industrial and medical instrumentation. For label print and coating applications, Hamamatsu offers a comprehensive range of large area UV pinning and curing systems that deliver high UV intensity, which is suitable for high-throughput UV printing applications. In addition, Hamamatsu provides stable and compact Flat Excimer Light Sources with high output power for surface modification and pre-treatment. Hönle will present its latest curing and drying technology for label printing applications. In focus will be its successful jetCURE product family comprised of IR, UV and LED-UV systems. The company will also highlight the new LED Powerline Flexo. Solely air-cooled, it has an output of 25 W/cm². This compact LED-UV-system is ideal for curing highly reactive inks and was specially designed for flexo printing applications. It is available in wavelengths of 365, 385, 395 and 405nm. 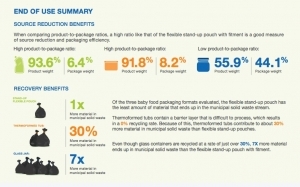 Innovia Films will be offering the labels market value through widening the applications for which BOPP can be used. New 60µm Rayoart BOPP clear and white graphic art films, CGS and WGS, present viable alternatives to calendared PVC. Rayoweb CRS offers environmental benefits over PET. Rayoface squeezable, clear and white films, CZFA and WZFA offer benefits versus both PE and MDO films, the company says. Rayoface VTT provides BOPP film performance and the aesthetics of paper. Italy’s ItalStick is a manufacturer of a full range of self-adhesive materials for offset, silkscreen, flexo and digital printing, in sheets and in reels. The company is particularly recognized for self-adhesive sheets, from conventional sizes to customized ones. Top quality has been assured by a certified process, and ItalStick utilizes top European raw materials. The use of acrylic water-based adhesives and products in conformity with the EU Norm 71 part 3 “Safety of Toys” are also in practice. FSC certification is available under request, with the capability to supply specialties. Jet Europe is a leading supplier of photopolymer printing plates and processing equipment. At Labelexpo Europe, it will show developments in the following: Consumables: Aguagreen water washable flexo plates, which is a new product, and improved LSL letterpress/UV flexo plates. 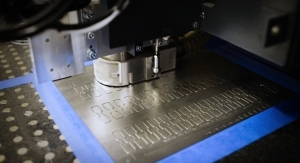 The company will also display DLE, direct laser engraving plates, JetFlex AR solvent plates, mounting tapes, equipment, plate processing and cleaning solutions, as well as CTP solutions. 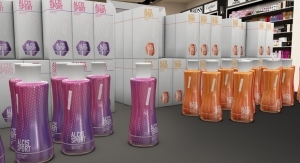 JM Heaford will launch its latest product, “The Label AutoMounter,” at Labelexpo Europe. 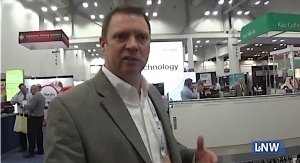 This version of the AutoMounter builds upon the success of the flexible packaging AutoMounter, which was launched at last year’s drupa. 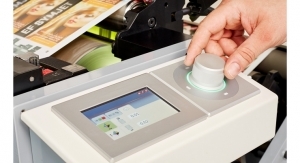 The AutoMounter allows label printers to reduce their press downtime due to miss-mounted plates to zero and mounts to a positional accuracy of +/- 0.2 thou. KPG Europe will be showcasing Euroflex presses in 260 – 620 web widths, providing both single and dual-pass flexo printing of labels, artificial food (polyamide) casings, films and tube barrier laminates. 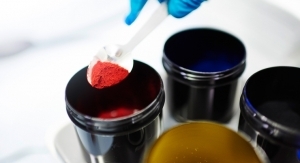 With single or twin drum configurations, Euroflex can be specified for use with UV, solvent, alcohol and water-based inks. Many options providing multi-web label production, varnishing, laminating, screen and foil printing will be shown. Using temperature-controlled impression drums, Euroflex presses can be gearless or gear-driven and specified for fully automatic production. Labeltech will present Ortles slitter rewinder, which is an evolution of the former IT slitter rewinder. 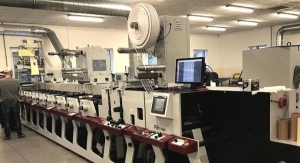 The improved technology has permitted the development and integration of two new useful items: Vajolet, a semi-automatic turret rewinder, and Lavaredo, an automatic slitter positioning system for both rotary and razor slitters. Labeltech will also introduce its first converting machine, Stelvio, a modular and compact unit. The Sciliar bi-directional horizontal rewinder closes the list of the products to be showcased. 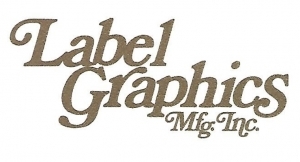 Label Traxx MIS was designed specifically for the label industry to streamline operations and increase profitability. At Labelexpo Europe, the company will introduce three new modules: Siteline: an online collaboration tool that makes it easy for customers to do business with you via their computer, tablet or phone; Sales Traxx: a new prospect management tool aimed at driving revenue growth through improved management of the sales process; Business Metrixx: dashboard view of entire company performance, allowing management to see trends, monitor progress and take action. At Labelexpo Europe 2017, Lemorau will display a brand-new machine – the Lemorau Digi EBR+. This is a digital printing machine that can coat and diecut all in one process. Based on high resolution inkjet technology, the Digi EBR+ can print with resolution 1600 × 1600 dpi in full color, with web widths ranging from 50 to 250 mm. The company will also have on display the upgraded ICR3, an inspection slitter rewinder, and the CTA 1500, an automatic core cutter. Leonardus will show its holographic films and laminates for the graphic and converting industries, together with holographic labels for anti-counterfeiting applications, at Labelexpo. 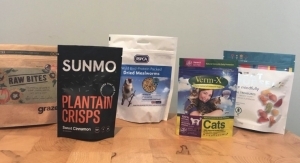 Leonardus’ range includes holographic paper (from 50gsm/m2), polypropylene (20,30,40my ) and polyester films (12my), holographic PET labels with a tamper evident effect, QR code, micro text and crypto code. Its holographic products are printable with traditional methods and most of them are suitable for food contact. Leonardus has recently developed multi-holographic images to be integrated with printing in register on labels. Leonardus can follow all the fundamental steps of the entire process in house, from the creation of patterns and holographic personalized logos, to embossing. 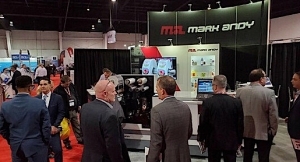 Featured on the Mark Andy Performance Series P7 will be a new inline digital UV inkjet print station, the latest offering in the company’s growing digital hybrid portfolio. Available as an option on new press orders, or as a retrofit to existing Performance Series presses, the module offers digital white opacity comparable to rotary screen or flexo white, as well as VDP, bar codes and sequential numbering, all inline and in a single-pass. The module brings flexibility and new market opportunities to converters. Matho is dedicated to manufacturing exceptionally engineered waste handling systems. Matho’s business model is built on innovation, operational efficiency and customer satisfaction. The systems cut, extract and transport the production waste into a waste disposal. Thanks to the modular structured concept, Matho is in a position to convert customer wishes to reality, immediately and with great flexibility. 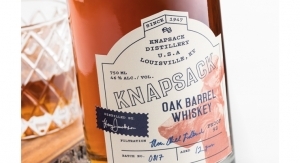 The explosion in the use of digital imaging in printing labels and tags has created a significant demand for niche products, including those for luxury and durable labels. MDV Group’s OEM tested luxury and durable substrates will be displayed at Labelexpo Europe. Silver luxury digital paper, Robuskin PET and XTP versions, for outdoors and chemical drum labeling applications, inkjet printable durable labeling and tag products, fluorescent materials and Indigo printable tags, will be showcased. High strength films, together with diecuttable materials for meat labeling applications, will also be featured. Meech will be displaying its web cleaning systems and Hyperion range of anti-static bars at Labelexpo Europe 2017. The company will be looking to highlight the ways in which these technologies can improve product quality in the labeling market. On display alongside the Hyperion range will be Meech’s complete set of web cleaning systems, including the Cyclean and TakClean. The CyClean is a compact non-contact system designed to remove and extract contamination. Meech has optimized the cleaning efficiency of the CyClean to remove contamination to below 1 micron. It is best suited for high-speed presses and can handle virtually any substrate. The TakClean, a contact web cleaner employed within the label printing sector, features specifically formulated TransTak elastomer contact cleaning rollers and perforated adhesive rolls, which make it ideal for narrower and slower presses. Melzer is a supplier of RFID technology and has been serving the industry with customized solutions for more than 60 years. Production lines for smart labels, tickets and luggage tags with patented transponder selection, integrated punching units, trim removal and various other options have been convincing many customers worldwide. Melzer also offers fully automatic machinery solutions producing high-end documents like e-ID cards, driver licenses, e-passports and more with excellent quality. 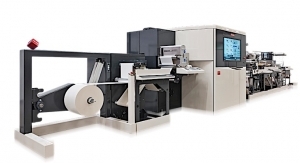 Mida Maquinaria will exhibit two presses at Labelexpo Europe. The MO350 Semi-rotary Wet Offset features extractable plate sleeves and digital workflow inking equipment from CIP3 files. It runs at 50 m/m. The MA350 is a finishing tool used for processing what has been preprinted in digital or conventional lines. It provides a reading cell and a short web pass in a single semi-rotary platform. MA350 combines flatbed units (silkscreen, hot foil, embossing) with rotary units (flexo, diecutting) with minimum web waste and excellent register accuracy for high added value labels. Mitsubishi HiTec Paper will exhibit its wide range of coated specialty papers for the label industry, including direct thermal papers for linerless applications. The product range will include: Direct Thermal Papers Thermoscript; Inkjet Papers Jetscript; Cast Coated Label Papers Supercote; Carbonless Papers Giroform; and Barrier Papers Barricote. Due to its dedicated front and reverse side coatings, Mitsubishi’s papers are used for many label applications (identification, price, decorative, logistics, security) and are suitable for both traditional and digital printing technologies. With the Personalization Line PL light, Mühlbauer follows the increasing demand for RFID products that include special printed features, serialization printing and unique encoding. The PL light thereby constitutes an entry-level RFID personalization system that is designed for medium volumes. A throughput of up to 40,000 UPH can be achieved, and this technology will be on display at Labelexpo Europe. NDC is a leading manufacturer of hot-melt coating and lamination systems for a multitude of wide web substrates, which are used in the manufacture of thermal paper labelstock, art paper labelstock, PET film labelstock, self-adhesive materials and a wide variety of other products. At Labelexpo Europe 2017, Nilpeter will unveil the all-new FA flexo press, which is the latest addition to the company’s state-of-the-art flexo program. Nilpeter will also be displaying one of its newly upgraded digital Panorama hybrid presses. The new FA is a versatile flexo press–built around the modern press operator, and designed to accommodate the printer’s ever-growing needs. The upgraded Panorama hybrid press features a complete re-design of the Panorama’s converting and flexo printing units. Omet will provide live demos, showing all the potential of Omet machines, at Labelexpo Europe 2017. Omet will showcase three presses with new relevant technologies and developments: a little taste of the complete product portfolio. Omet is able to provide printing machines for any necessity, from the simplest label to complex applications, from combined printing technologies to special solutions and tailor-made projects. For many years, Labelexpo has been the main occasion for Omet to reveal its latest concepts in the label and flexible packaging printing market. The first press with pre-registration through laser pointer and iVision system for real-time register adjustment (iFlex) was launched in 2015. Orthotec will be displaying its SRFD3030 screen printing and hot stamp technology. It features dual sliding shafts with squeegee motion to achieve three times faster speeds and much steadier squeegee pressure. The servo driven hot-stamp station, the CPK4040/3030, includes high-speed hot stamping. The heavy-duty design is made for complex hot-stamp processes and embossing jobs that run at 400 strokes per minute. The machine can be independent or inline with any flexo machine. The CFT3536 offset intermittent machine has four sections that are designed to give a steady inking and dampening balance. For more than 42 years, PC Industries has supported the printing, pharmaceutical, label, and security industries with high quality, technically advanced quality improvement solutions and excellent customer support. The company offers a wide variety of print inspection solutions, tailored to address quality control issues throughout the entire production process. It develops easy-to-use systems that seamlessly fit both web and sheet applications of nearly any width, both on-line and off-line. 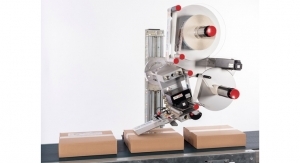 Since Pinewood Label Systems successfully launched the Bottle-Matic and Flex-matic Label Applicators, the company has made many improvements to the original designs. Both are now available with optical sensors as an option. These machines are economical, versatile and suitable for accurately applying labels to a wide range of cylindrical and flat products. They feature a low cost, quick setup, and are easy to use. Prati will be showcasing its entire range at Labelexpo Europe. Visitors can discover high-speed digital finishing with a highly-accessorized version of the Digifast One. Saturn Omnia with Futura technology will also show converters how they can safeguard their investment by opting for a new open platform concept launched earlier this year in Dubai. Futura enables an unlimited number of instant upgrades in face of any market scenario and is described by the company as the standard-setting concept for the next generation. PrimeBlade Sweden AB is a global manufacturer and supplier of doctor blades for flexo, gravure, offset printers and coating applications. Together with its Swedish raw material supplier and end users, the doctor blade was produced to improve production quality, blade life, and to increase machine speeds. PrimeBlade’s doctor blades are available in all different edge types, standard thicknesses and widths. They are supplied in 100 meter/328 foot rolls in easy-to-use cassettes or cut in lengths to meet each customer’s needs. The pre-ground blades have radius-ground edges, enhancing blade functionality. The blade and cylinders last longer than conventional blades. The pressure exerted by the blade on the cylinders is constant, eliminating uneven blade wear. The printing, coating and packaging industries demands are constantly increasing to optimize blade lifetimes and achieve higher and more consistent quality. To meet these demands, the company has developed a new technology for grinding and polishing, XM-Technolo­gy. This technology optimizes the lamella properties and tolerances. A leader in UV curing, Prime UV offers the newest technology in high-speed LED UV Systems. Designed to cure UV coatings and UV inks, the new LED-MAX installs on narrow to wide web offset presses, coating machines, CI and inline flexo presses. Prime UV LED high-intensity systems are recommended for high-speed label and digital presses. Primera Technology is known for its laser- and inkjet-based printing equipment. At Labelexpo Europe, the company will present its full range of label printing systems, focusing on brand-new color matching and variable data printing solutions for the CX/FX1200e system by ColorGATE, Germany. Primera will also display in-store printing solutions for customized on-demand products and its increased portfolio of new Primera substrates. The latest inkjet-based printer, the LX1000e with pigment ink for highly durable labels, will also be highlighted. 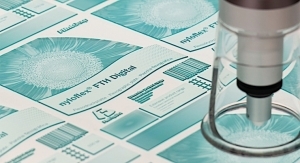 PrintConcept, a member of Hönle Group, is a UV specialist for web applications up to 2,600 mm. The patented cassette technology allows cleaning, maintenance and lamp changes outside the press. A Nitrogen Inertization reduces photoinitiators and migration, essential for food packaging. The quartz plate that seals the inert chamber to the web also uses cassette technology and can be pulled out easily. Special feature: the inertization can be retrofitted at any time without additional effort. Pulse Roll Label Products will feature food packaging compliant (FPC) products, including the PureTone FPC UV flexo ink system, and a range of varnishes and adhesives suitable for non-direct food packaging and labeling applications. A “Solutions Showcase” will include live demos exhibiting PureTone ink mixing, color matching and the latest prepress proofing equipment and PureCode, the laser markable coating solution for premium printed variable data. A new high-strength UV screen ink range based on the PureTone ink system technology will also be launched. This year at Labelexpo Europe 2017, QSPAC Industries will be launching a new line of BOPP and PET laminates. These laminates are used on applications for bar code scanning, booklets, clear substrates, desktop printing, digital printing, economy grade, easy release, extended content labels, flexible packaging, general purpose, header bags, heavy duty, hi-tack adhesive, reinforcement, thermal transfer printing, UV protection, and UL recognized. The company’s BOPP and PET films are coated with a high performance and clear emulsion acrylic adhesive to give labels and tags the best finish and protection. Labelexpo Europe 2017 will allow Re S.p.A to showcase its latest offerings in web alignment and print inspection, which will be located at booth 9C36. The strong point of the exhibition is the new Guardian 100% print inspection system, which is an advanced control system based on high resolution matrix cameras, specifically designed for narrow web inspection. Moreover, the company will display a wide range of web guiding systems, with the best technologies, to guarantee a perfect alignment of the web and a very easy and intuitive management of the system. Recyl has updated its product portfolio, which will be on display at Labelexpo Europe. The newest machines include Cliché Cleaner, a simple, reliable and efficient process for plates, and Anilox Spray Cleaner, a fully automatic cleaner for anilox sleeves or rollers. From a chemicals perspective, Recyl will show QuickWash Cliché, which has been specially adapted to clean solvent-based inks off flexo plates. It can be used manually or in Cliché Cleaner machines. NW Alusafe has been specially adapted to clean anilox sleeves with an aluminum base. It is used manually or in Anilox Spray Cleaner and NextWave Ultrasonic cleaning machines. Merobel allows for the best web tension control to be at its users’ fingertips. The company manufactures and supplies EMP brakes and clutches, precision load cells, digital controllers, and full service support. Meanwhile, Redex offers the affordable and long proven large range of precision drives. It manufactures and supplies planetary gearheads, a right-angle gearbox, differentials, phase shifters with high-skilled sizing service and setup support. Labelexpo 2017 will be the occasion for Ricoh Industrie France to highlight its two new thermal transfer ribbons. B120BG completes Ricoh’s TTR range as a low end, near-edge wax-resin ribbon with all the resistance properties of a classical wax-resin and an improved optical density. Ricoh’s best value for money near-edge TTR B120CG is a flathead resin ribbon that resists to scratch and heat as a classical resin ribbon. The cost-saving ribbon is available now, and the two products will enlarge Ricoh’s TTR range. RK PrintCoat Instruments specializes in the design and manufacture of equipment used to produce repeatable samples of most surface coating, for QC and R&D purposes. This includes customer presentation samples, etc. RK products include the simple and inexpensive K Hand Coater, the FlexiProof 100 for realistic printability testing on all types of flexo substrates, as well as various reel-to-reel coating machines. All of these will be discussed at Labelexpo Europe. Rosas Maschinenbau will display two machines at Labelexpo Europe. The first will be a hybrid table top printer for booklets and flat labels. It features large size idler rollers, rollers from carbon (CFK) that run easily, individual and exact setting of web tension, a modular construction, and high speeds. The second machine is a standalone-system for pharmacy label serialization. It features an unwind unit, rollers from carbon (CFK) that run easily, individual and exact setting of web tension, inkjet high code quality–including dryer camera inspection–forward-backward running, a splice table, rewind unit, and the corresponding software. 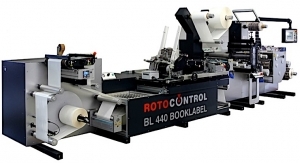 Rotocontrol will showcase German-engineered finishing machines for label inspection, slitting, rewinding, diecutting, digital and booklet label processing. Live demonstrations will feature a simple and intuitive operator interface, a high degree of automation, and a modular design that supports customized integration. Automation Arena, a brand new special feature of the show, will also include Rotocontrol finishing technology alongside other industry-leading suppliers during the demonstration and overview of two automated press lines for digital and conventional label production. The organizers of Labelexpo Europe have announced full details of a ground-breaking new feature for 2017. The Automation Arena will debut at this year’s exhibition as Labelexpo Europe returns to Brussels Expo, September 25-28. Industry 4.0 is the current trend of automation and data exchange in manufacturing technologies. Demonstrating this shift toward combining the industry with the Internet of Things, the Automation Arena is a practical live workshop featuring two automated press lines for digital and conventional label production. 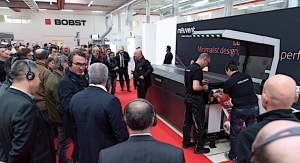 It will show visitors how information management can integrate workflow and automate production, working towards better performance, reliability and profitability for today’s printer. 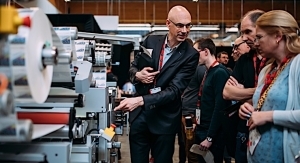 Located in Hall 11, the Automation Arena is being held in collaboration with Cerm, Esko, Xeikon, MPS, Kocher + Beck, AVT, Rotocontrol, Matho and Wasberger. Three half-hour long real-time presentations will run daily at 11:00, 1:00 and 3:00 over the show’s first three days and once at 11:00 on the final day. These sessions will be filmed live and relayed via large screens to show visitors every single detailed aspect of the job. The print jobs run during the Automation Arena will be produced using digital and conventional printing technology. Job creation, artwork uploading and MIS order processing steps will take place in Cerm’s system before the pre-flighting, quality checks, proofing and customer approval are processed using Esko’s software platform and automation engine. This will be followed by Cerm scheduling, ink and substrate checking, tool ordering and the sending of JDF files, ready for printing. Both presses will utilize AT740 film from Avery Dennison, with inks supplied by Flint Group. The conventional print runs will be produced on an MPS EF 430, 8-color press – with no gear cylinder connection, intelligent pressure setting and zero waste roll change – which in turn will be fitted with a Kocher + Beck UR Precision 440 U non-stop splicer unwind and AVT’s Helios Product Line inspection. A Rotocontrol RSC 340 WFL slitter and turret rewinding unit will also feature with Wasberger’s fully automatic Core Cutter S and Matho’s EM180 Cuttopipe waste removal system. Job files, differing from the conventional print runs, will be sent to a Xeikon X-800 digital front end for batching, step and repeat and preparation of job identification, diecut, inspection and turret rewinder bar codes for printing on a Xeikon 3300 press with an inline laser diecutting unit. When the Xeikon press starts its run, the audience will be able to see the different identification bar codes in operation, AVT defect detection, laser diecutting setup and rewinder automation. The final stages in the job automation process will return to the Cerm operator and the audience will be taken through steps, including warehousing, job picking, shipping carrier allocation, customer notification and invoicing. Jade Grace, Labelexpo Europe’s project director comments: “This type of tradeshow feature has never been done anywhere before. 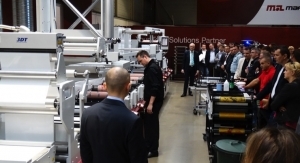 The Automation Arena will clearly demonstrate to Labelexpo visitors that automation is not only the promise of tomorrow, but that it’s available today. Labelexpo Europe will also be hosting a dedicated master class on MIS and workflow automation on September 26. 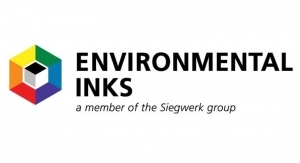 Siegwerk will be showcasing tailor-made ink solutions and services at this Labelexpo Europe. 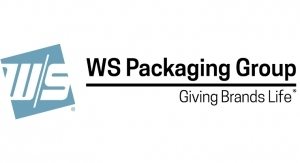 These products address current and future packaging trends. The migration optimized inks are designed specifically for UV printing and rank among the best systems on the market today. The UV flexo printing series Sicura Nutriflex Pro is available for all food and pharma-related applications and offers highly pigmented colors that are HD-certified. The UV offset series Sicura Nutriboard 2 (for paper and selected films) and Sicura Nutriplast 2 (for plastics) are excellent ink solutions for heavy-duty applications. Siegwerk will configure its solutions based on the customers’ individual needs and support them with cutting-edge solutions. SMAG manufactures a complete range of converting solutions for high-end label and flexible package printing. 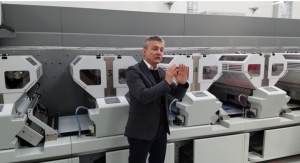 The highlights of the company’s Labelexpo booth will include digital finishing converting solutions with the Digital Galaxie generation III 350mm, the Digital Galaxie 530mm – a new product – and the E-Cut 350mm generation III, which is also a new product. Visitors to the booth can see roll-to-roll flatbed silkscreen run at high speeds on the Galaxie SP 350mm and an inspection slitter rewinder with Sirius in various models. Converting equipment, such as RFID and security solutions based on VEGA models, will also be displayed. SPGPrints will show high-performance solutions for every step in the rotary screen printing workflow for labels and packaging. Its 100% nickel re-imageable RotaMesh and re-usable RotaPlate screens offer stability at over 330 fpm and create numerous high-value effects from 3-point text to tactile varnishes, Braille and glitter. 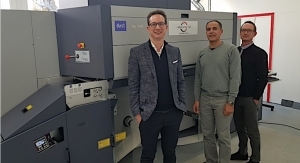 The company will demonstrate its new automatic RotaPlate Screen Cleaner, plus laser imaging prepress systems for high-definition rotary screen, flexo, letterpress and dry-offset, and presents information about its PIKE 700 industrial hybrid UV-inkjet press. Spring Coating Systems will offer non-toxic DFC (Direct Food Contact) inks, which are specifically designed for print applications where direct food contact is likely or where there is a high risk of migration of the ink components. 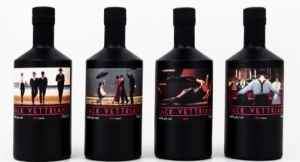 DFC inks improve package safety and open new opportunities for creative graphic communications. In addition, Spring presents Ecowash, an environmentally superior solvent for processing photopolymer plates. Ecowash washes faster and helps keep the processor clean for higher quality and lower maintenance costs. Starfoil is the producer of hot stamping and diecutting presses, label printing and vertical hot stamping machines from A3 size to 750x1060mm. As the agent for Newfoil Machines, Starfoil will demonstrate a high-speed hot foil stamping Newfoil 2500 Servo machine for labels that features a complete revision of the electronic, control and mechanical systems. Integrated servo drives are now used to power all the dynamic functions of the machine, and this can increase productivity by 100% or more, with reduced operator input, quicker setup, reduced waste, lower noise levels, data logging and much more. Sun Chemical and acpo will showcase an expanded offering to promote smart and cost-efficient solutions for narrow web and flexible packaging converting at Labelexpo Europe. The two companies have worked together to develop coated films for the narrow web and labels market and will showcase the jointly developed films at Labelexpo for the first time. By combining acpo’s self-wound films and Sun Chemical’s SunBar Aerobloc oxygen barrier coatings, any label printer with a lamination unit will be able to print and convert these films into pouches, bags or roll stock, for packaging oxygen sensitive products such as nuts, snacks, nutrition bars, meat, cheese, spices and pet food. This can be done without the need to invest in new machinery. 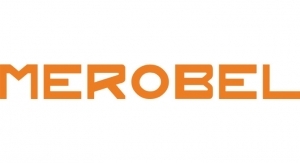 The Aerobloc oxygen barrier coating will be directly coated onto acpo film, making it as simple as using a standard film. 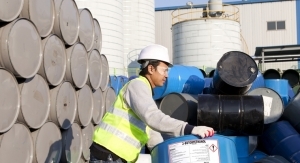 SunBar Aerobloc oxygen barrier coatings are chlorine free, easy to recycle and highly resistant to flex cracking, which results in package barrier loss. They also offer converters cost-effective, durable, sustainable films that support long shelf life, creating a smooth, pinhole-free and flexible layer. Taghleef Industries will bring a wide selection of BOPP films: its Speciality Label Films range for PSL facestock products, as well as over-laminations, extra matte finish Soft Touch films, anti-scratch and anti-bacterial films. For injection and thermoforming IML films, Ti will highlight its high orange peel and ultra-high yield white voided films LIU and LIX, as well as LIM with its satin finish. Metallic look Titanium LTZ and LHZ complete the range, delivering high impact label designs. Ti will also present next generation film for heat shrink sleeve labels. Unilux will unveil new controls for its LED2000 series strobes at Labelexpo Europe 2017. The new controls make it easier to set up, operate and access powerful features and capabilities for high-speed surface and print inspection. In addition, the new controls provide on screen help and instructions in various languages to assist operators using the units. Unilux will also demonstrate its complete line of handheld LED strobes, available in a wide range of coverage. These portable strobes allow label printers and converters to clearly view print and surface quality anywhere on the press at full production speed. Unilux UV LED strobes will also be on display. With LEDs, ambient light is no longer an issue for inspection of UV coatings and security elements. Voyantic will be displaying its Reelsurance RFID Label Counting and Inspection System, which now comes in Dual Frequency, enabling testing both Rain RFID (UHF) and HF/NFC tags, as well as dual frequency tags. It uses the Voyantic Tagsurance UHF and HF testers to verify the RFID tag operation sensitivity. This is done by using communications tests at several frequency and power level combinations with high resolution, stability and high speed. The high-quality platform ensures 100% accuracy and repeatability. In cooperation with modern cast coated paper producer, Pindo Deli, W. Hinderer GmbH will be exhibiting a wide range of cast coated premium label papers. SINARLUX, the product of choice for the quality conscious, offers JIT stock. The range encompasses standard premium white shade, cream, WS, metalized, pearlescent, as well as a range of embossed surfaces. Werosys will launch several new products for the Compact line to enable a true digital finishing line with optional flexo and digital printing. All setup is done electronically from one screen. This enables production from approved artwork to finished labels in a matter of minutes, as all necessary information is read from the PDF file and automatically sets all stations, including the all new digital printer, laser diecut, and low cost automatic slitting system. At this year’s Labelexpo Europe in Brussels, Wink will present its full portfolio of premium diecutting solutions and “maximum care” services. In addition to the full range of premium diecutting tools, Wink will launch several new products: The new SmartGap adjustable anvil system in different versions, including the SmartGap “Touch,” with digital control and many smart features, which maximize diecutting efficiency; a new type of perforating die produced with patent-pending laser technology; a new SuperCut flexible die versions for specific label applications; and new “ForceControl” pressure gauge systems. Xeikon will be launching the PX3000 UV inkjet digital label press, based on Xeikon’s Panther UV inkjet technology and operating PantherCure UV ink. It complements the Xeikon 3000 series and Xeikon CX3 label presses based on dry toner technology, bolstering the extensive range of digital printing solutions available through Xeikon for the label market.The Xeikon PX3000 was developed in response to the growing need for new technologies in digital label printing. Speed, durability and cost-effectiveness for digital runs are the primary strengths of the Xeikon PX3000. It features a web width of 330 mm and a maximum speed of 50 m/m. Yupo Europe provides a wide range of synthetic papers made from environmentally friendly polypropylene, claimed to produce a durable, waterproof label that offers excellent print results. The company’s range includes in-mold labels, self-adhesive facestocks for removable and permanent applications, HP Indigo printable and tamper evident solutions. Its products are excellent for thermal transfer printability and available from 60 to 300 microns. YupoTako is a new development that sticks without adhesive. These solutions will be on display at Labelexpo Europe. 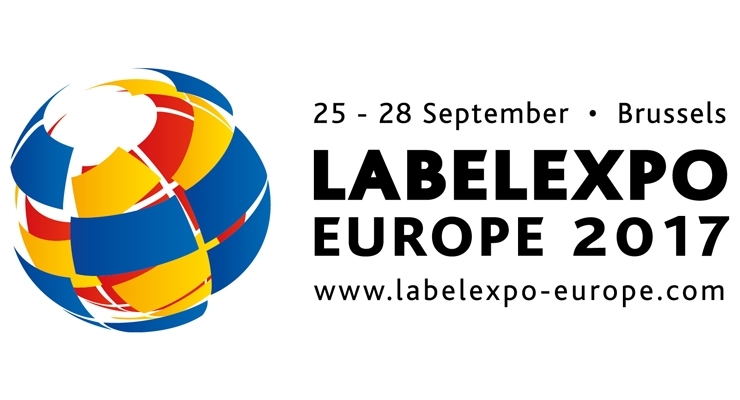 Counting down the weeks to go before opening its door to buyers, Labelexpo Europe is set to be a “sell out” event with 95% of its increased exhibition stand space sold for 2017. Already its largest edition to date since first being held in 1980, 2017’s show will occupy a record nine halls – a total of over 35,000 sqm – when it returns to Belgium’s Brussels Expo from September 25-28. The high demand for stand space comes on the back of the event’s hugely successful last edition, which broke records in 2015 by covering 33,579 sqm and hosting 35,739 visitors and 650 exhibitors. Aimed at print industry professionals, including label and package printers, brand owners and designers, visitors to Labelexpo Europe 2017 can expect a busy show floor packed with over 650 exhibitors, including a host of new and international companies, as well as the industry’s leading big-name brands. There will also be two dedicated feature areas with the return of the popular Linerless Trail and the debut of the Automation Arena, showing two automated press lines for digital and conventional label production. There will also be several educational paid-for master classes run in collaboration with the Label Academy. Registration has been open since the end of April and visitors can go online to find out more and view the full list of exhibitors by visiting www.labelexpo-europe.com.